Flagpole inspection and maintenance is important for keeping your flagpole looking good and your flag flying high. It’s even more important to ensure the integrity of the flagpole remains and it presents no safety risk. 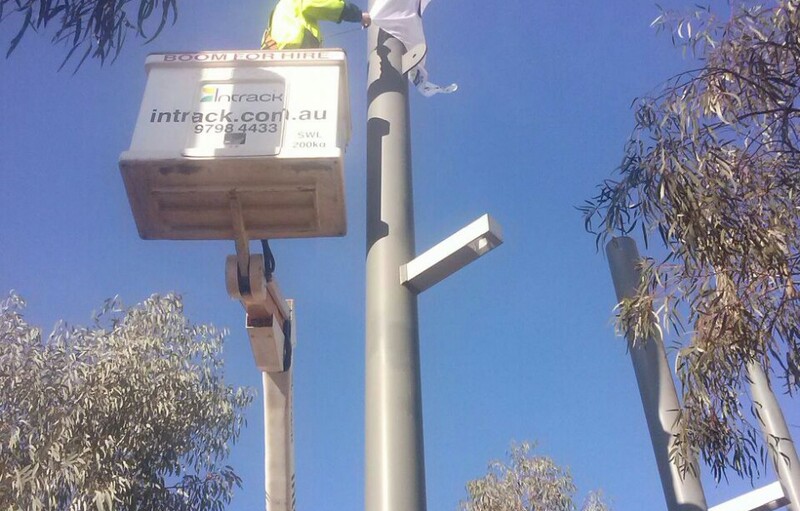 The Intrack team completes routine maintenance for many of our corporate flagpole and council customers. However, as we have many residential and small business customers, we’re often asked for self-managed flagpole maintenance tips. Routine maintenance can prevent severe damage and breakdown of neglected flag poles. We don’t sell flags, but since we do engineer, fabricate, install flagpoles, we do know a few things about flags. For example, we know flags need maintenance, too. Lower your flag when high wind is forecasted. 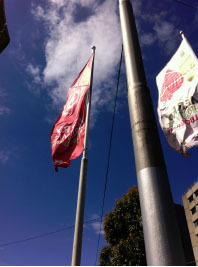 Weather events, particularly wind events, impact your flag. Lower your flags at night. You don’t have to worry about watching for weather changes. Watch the corners for wear and fraying. Repair as soon as you notice it to prevent further damage. Ensure your flag flies freely without contact to tree branches, buildings or other objects. Routinely wash your flag in warm water. Always dry your flag completely before storing.